With rich history, culture and nature rolled into a compact area, Bulgaria is a surprising destination that should be on your radar. Blessed with forest-clad mountains and sunny white-sand beaches, vibrant cities and historic villages, rich folk traditions and countless churches and monasteries, this is an exciting, welcoming and photogenic country waiting to be explored. Start off in the laid-back capital of Sofia, where you can explore museums and parklands and immerse yourself in Bulgarian arts, entertainment and cuisine. From there, you’ll want to head out of town and start exploring the history, culture and scenic beauty of Bulgaria’s countryside. Cycle through the pristine scenery of the Balkan Mountains, famous for lush green valleys, gentle rolling pastures and quiet roads dotted with traditional villages and historic monasteries. 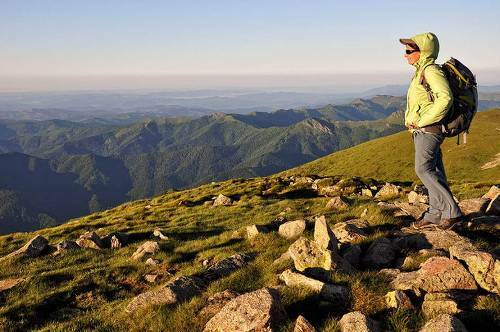 Walk through the Rila and Pirin Mountains, among picturesque alpine meadows, glacial lakes and a rich variety of flora and fauna; then climb to the top of Bulgaria's highest peak, Mt Musala, for superb views of the Rila Mountains. Explore the history, art and architecture of the World Heritage Listed Rila Monastery, the largest and most important of Bulgaria’s Eastern Orthodox monasteries; visit hidden villages brimming with traditional culture and stay in charming guesthouses, enjoying the warm welcome of friendly locals. 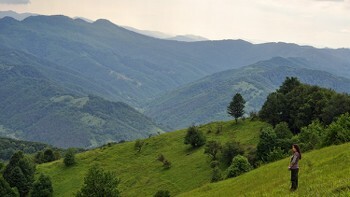 Our unique self-guided and small group guided walking and cycling holidays are designed to get you deep into the heart of this gem of the Balkans, so start planning your Bulgarian adventure! At 2925m, a trip to the top of Mt Musala is worth it for the views of the Rila Mountains. 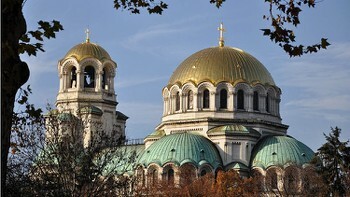 The Bulgarian capital is a great hub for Bulgarian arts, food and entertainment. Bulgaria’s most impressive monastery boasts great architecture, wall paintings and history. Discover vast alpine meadows, glacial lakes, rare vegetation and a rich variety of fauna. Cycle through a land that time forgot to experience traditional villages and pristine natural beauty. 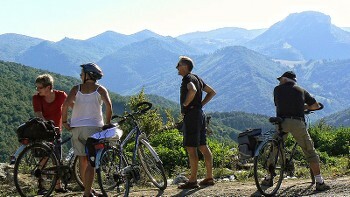 Our walking and cycling trips in Bulgaria only include what you need like accommodation, meals, bikes on cycle trips, luggage transfers, maps and route directions on self guided trips and an experienced local guide for group trips, as well as the peace of mind that comes with complete backup and support. Electricity in Bulgaria is 220 Volts, at 50 hertz. The most common pin type is C. (2 round prong).